There were 19 deaths of police officers by suicide in Massachusetts in 2016 and 2017, the fourth highest number of suicides in the country. That is not fourth highest rate per 1,000 but fourth highest total number overall. The state is the 15th largest by population. According to Blue H.E.L.P., a non-profit law enforcement mental health awareness group based in Auburn, Mass., there were 286 deaths nationwide. A bill currently before the state’s legislature looks to address the issue by mandating in-service training on mental health as well as annual mental wellness and suicide prevention courses for all current officers. “This bill is critically important to help police officers understand their own human frailties and know they are vulnerable to the effects of cumulative PTSD,” said Rep. Timothy Whelan, (R-Brewster), who co-sponsored the bill. Whelan, a former sergeant with the Massachusetts State Police for 22 years, has seen the devastation that comes from an officer’s suicide and also the difficulty within the profession in addressing the problem of stress and trauma. While awareness around suicide by former active duty military personnel has risen in the past decade, there has been far less focus on the issue with police officers. “The suicide rate for returning veterans is approximately 27 per 100,000, triple the normal rate in the general population,” said Jeffrey Zeizel, LICSW, a clinical social worker in Woburn, Mass., and the area clinician for the U.S. Drug Enforcement Administration. Just as returning vets are automatically de-briefed before returning home, Zeizel would like to see all police officers have mandatory debriefing following any traumatic event. “They don’t always have a chance and sometimes they don’t want to,” Zeizel added, explaining that officers are afraid to lose their badge if they admit they are having problems. He sees an opportunity to use the debriefing as a type of education rather than treatment which could help to erase the stigma surrounding it. It is an issue that has greater reach than just with the officer and his or her family. 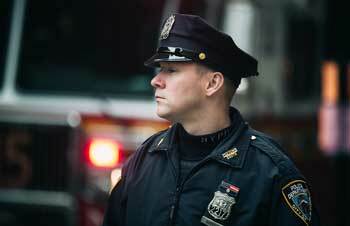 “Public safety depends on the health and wellness of our police force,” said Barry Feldman, Ph.D, director of psychiatry programs in public safety and assistant professor of psychiatry in the University of Massachusetts Medical School Department of Psychiatry. “We must be proactive and not reactive when an officer’s mental health is concerned. The bill has been referred to the Committee on Health Care Financing and will then face another committee to await further action.